January 8, 2017 was a sad day for New York Giants fans as they watched the team get pummelled 38-13 against the Green Bay Packers in the Wild Card round of the playoffs. Yet, there was a sense of optimism heading into their 2017 season. The defense has made tremendous strides and the offense showed potential with their young core, including Odell Beckham Jr., Sterling Shepard and even running back Paul Perkins. The team even acquired wide receiver Brandon Marshall in free agency to add more fire power and only lost one defensive starter in Johnathan Hankins. They signed defensive end Jason Pierre-Paul to a long-term deal and even traded for Pittsburgh Steelers cornerback Ross Cockrell for secondary help. Many sports analysts guaranteed the team to go to the playoffs and some even predicted them to appear in Super Bowl 52. Unfortunately for New York, things went in a much different direction. The squad started 0-5, ended up boasting their worst record in franchise history (3-13) and watched their arch-rival Philadelphia Eagles hoist the Lombardi trophy in February. In essence, this was a nightmare for fans to witness after the team came into the season with so much promise. As the dominoes continued to fall, head coach Ben McAdoo and general manager Jerry Reese were both relieved of their duties before the season was over. 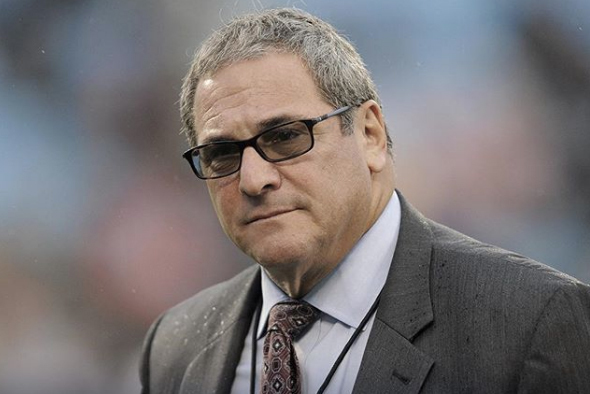 Owner John Mara quickly scooped up Dave Gettleman, who previously worked in the Giants front office, to fill the vacancy at general manager. After much research and planning, the team eventually decided to hire former Minnesota Vikings offensive coordinator Pat Shurmur as their head coach. The Giants were supposed to land former Carolina Panthers guard Andrew Norwell, but the Jacksonville Jaguars signed him at the start of free agency, forcing New York to focus on other offensive linemen. That’s when they signed two-time Super Bowl champion Nate Solder to a four-year $62 million contract. Solder plays left tackle, which has been a weak spot for the Giants due to the poor play by first round pick Ereck Flowers. While many fans were pleased with the positional signing, some were not thrilled when Gettlemen brought in running back Jonathan Stewart on a two-year deal. Other running backs on the market like Dion Lewis and Jerick Mckinnon proved to be more versatile as they enjoyed successful campaigns in the 2017 season through the air and on the ground. Both were viable pass catchers, but could also run between the tackles. Stewart is a bit older and is known to be a one-dimensional back. New York also traded for former Los Angeles Rams linebacker Alec Ogletree, another position that has been weak for the Giants for the past several seasons. With the draft coming up soon, the Giants will have the No. 2 overall pick and are aiming to get a key franchise player either at quarterback, running back, offensive line or defensive line. 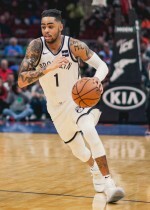 Much of their future will be decided by this pick, so new management will have pressure on them to make the right call and help New York become a competitive team again.